Bishops Stortford indoor range & clubhouse comprises a seven point 25 yard indoor range for small bore and pistol calibre rifle. The club house has a seating area and kitchen facility for making drinks and there is also toilet facilities. The outdoor range also has excellent facilities. 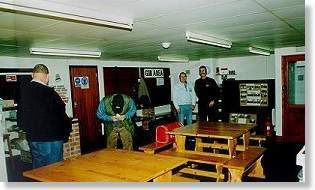 Bishops Stortford Rifle Club is situated just outside of the village of Stansted Mountfitchet in the West of the county of Essex and bordering on Bishops Stortford in Hertfordshire, which is where the Club originated. When you apply for membership a detailed map will be sent to you giving the precise location of the Club.